For two months of my life, every night I would try to get Stefanie to marry me. And now I couldn't be happier that she is engaged to Kyle. Huh? Let me explain. 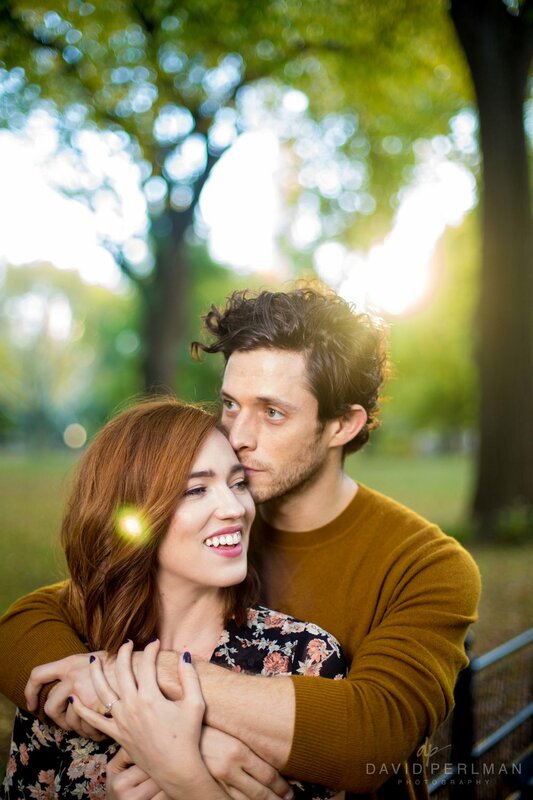 About a year ago, Stefanie and I were cast as actors in the Off-Broadway production of A Dog Story, in which my character desperately wanted to marry her character. Make more sense, now? In one of our first conversations we bonded over how happy we were in our relationships - mine with my husband Trey, and hers with Kyle, her boyfriend of 12 years. Their relationship is one that is so solid without being stagnant, exciting without being dramatic. These two are passionately supportive of each other without being co-dependent. In short, they just make sense together; you can exhale around them. Stef and Kyle, I couldn't be happier for you two. 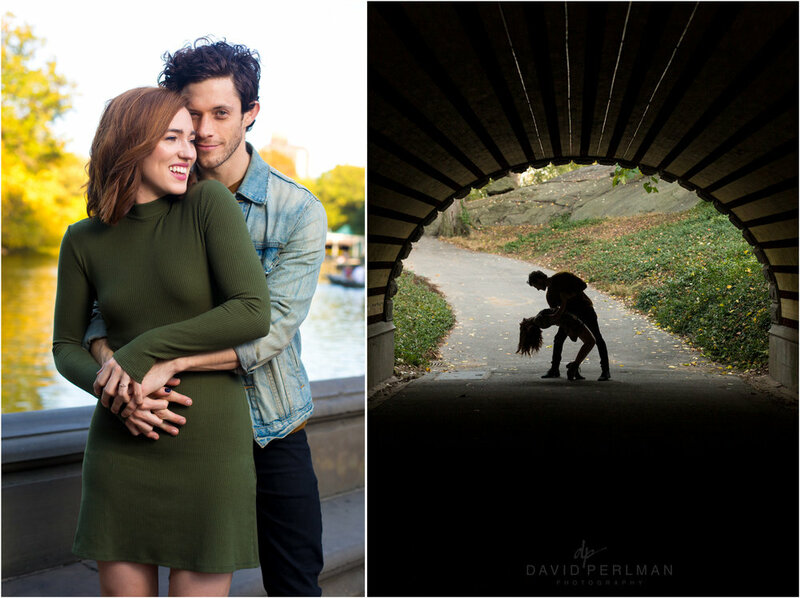 I'm thrilled to be a small part in the journey of your relationship, and I consider myself lucky that I get to hang out with you beyond this super fun photo session in Central Park.